Beginning this school year, incoming first year high school students will face the somber reality of the new K + 12 school system. Concretely, it means that they will be the first ones to experience the prospect of 5th year and 6th year high school four years from now (unless the new President in 2016 would put a stop to the whole comical and too ambitious educational plan). Recently, Senator Trillanes has asked whether the new educational scheme, K + 12, is designed mainly for the cream of the crop of pupils in the Philippine educational system. He refers to the very few (about five percent) who would compete with our neighbors like Hong Kong, Japan, Korea and Singapore who would access and compete in international schools in the US and Europe. If the educational planners who are mainly NCR-based are thinking of the crème de la crème of our educational system for them to become competitive, they should not have bothered at all, because many of our exclusive schools (where these so called crème de la crème go for schooling) have long ago adapted a modicum of K + 12 by introducing 2 years in the pre-school (Prep and Kinder or Kinder 1 and Kinder 2) and another year in the elementary (Grade 7). Years back about 15 or 20 years ago, when the proposal was being discussed, many of us in the education ministry then could not help but sigh in exasperation at such an outlandish proposal on the basis of the international standard. We thought then that the first task of government and the private sector was to IMPROVE and REHABILITATE the existing K + 10 school plan. Very inadequate budgetary allocation for actual education. We felt, then, that the existing K + 10 educational plan was lousy and boring! Hence the proposal to add another two years in basic education was met with derision. By adding two years in basic education it would simply mean adding unnecessary and equally lousy and boring two years in basic education. We thought then that what is needed is a complete rehabilitation of the existing system beginning with the improvement of the school facilities, training of teachers, and substantial increase in budgetary allocation for actual and real education. Attempts to ‘conform’ to international standard are laudable. But we need to fix first our K + 10 before ambitiously adding two more years that would produce not only headaches but also nightmares! The K + 12 is actually a big joke if you go farther than the National Capital Region. 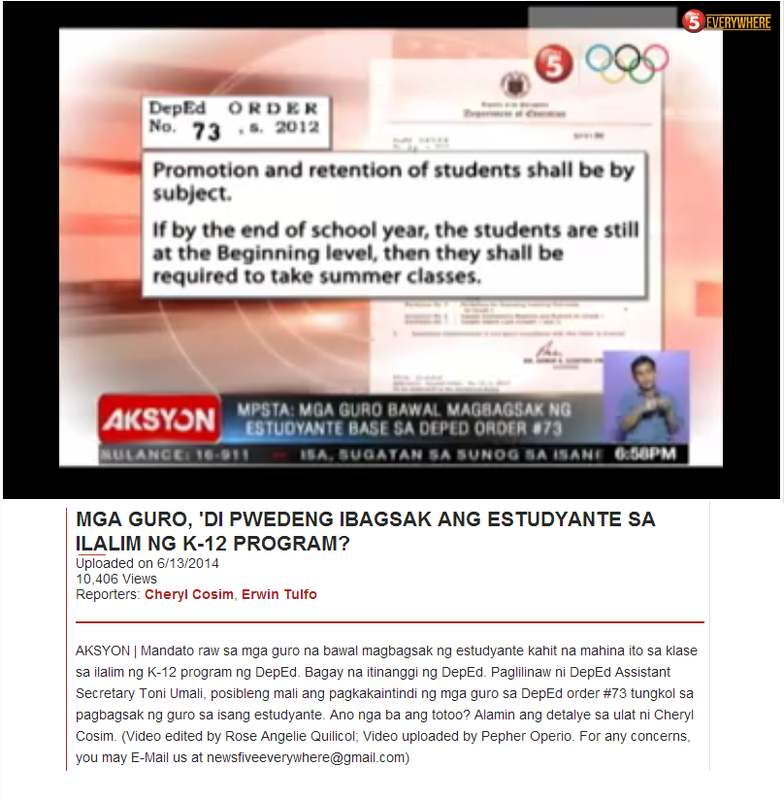 In Mindanao, our educational woes are ENDEMIC! Simply take a look at the figures below and they would tell you that the educational planners of K + 12 are living on the proverbial Cloud 9. The Net Participation Rate in the elementary level averaged across Mindanao is only 78.5 percent (2006-07 data), well below the national rate of 83.2 percent. 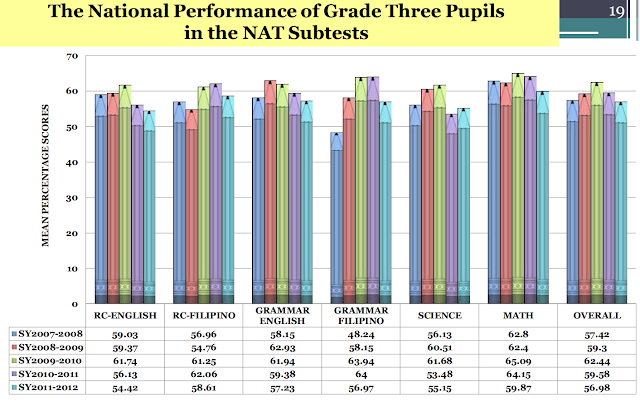 In ARMM less than 50 percent of pupils who start grade 1 reach grade 6. Six out of 10 provinces in Mindanao have the lowest high school completion rate. The ivory tower of our educational policy makers is truly comical and further exposed when the educational condition is viewed from a larger perspective of poverty realities of our people. From where I stand, all five provinces in ARMM are in the bottom 10 nationally in Human Development Index (HDI) rankings and their status is comparable to states in sub-Saharan Africa. Parts of Mindanao have been the home of two of the longest running conflicts in the world, the Moro fronts and the NDF. The nature of conflict in these areas is complex and diverse. It is both vertical (between the central government and insurgents) and horizontal (between communities and groups). The displacement of peoples and communities in Central Mindanao is appalling and equally impacts children's learning in basic education. And now, a new educational plan a.k.a. as K + 12! Policymakers... HELLO! Are you still with us on this part of the planet? A BIG JOKE? What would Jose Protacio Rizal think or do? i just needed to go back to our root history of my education as a Filipino. Beth Day Romulo once said “Filipinos, starved for education which had been denied them under Spanish rule, flocked to the schools”. Americans introduced a new system of education. Education will be the key factor to clean and transform the image of the Filipino from a copy cat Spaniards to a true blue American. here we are now, few centuries ago, and what?